Colorful Antique Ewe Kente Cloth Textile, Country of Origin: Africa, Circa Date: Early 20th Century – Crafted by Ewe weavers, this magnificent antique African Ewe Kente cloth textile features an enrapturing selection of traditional striped patterns that are created on narrow looms and stitched together. 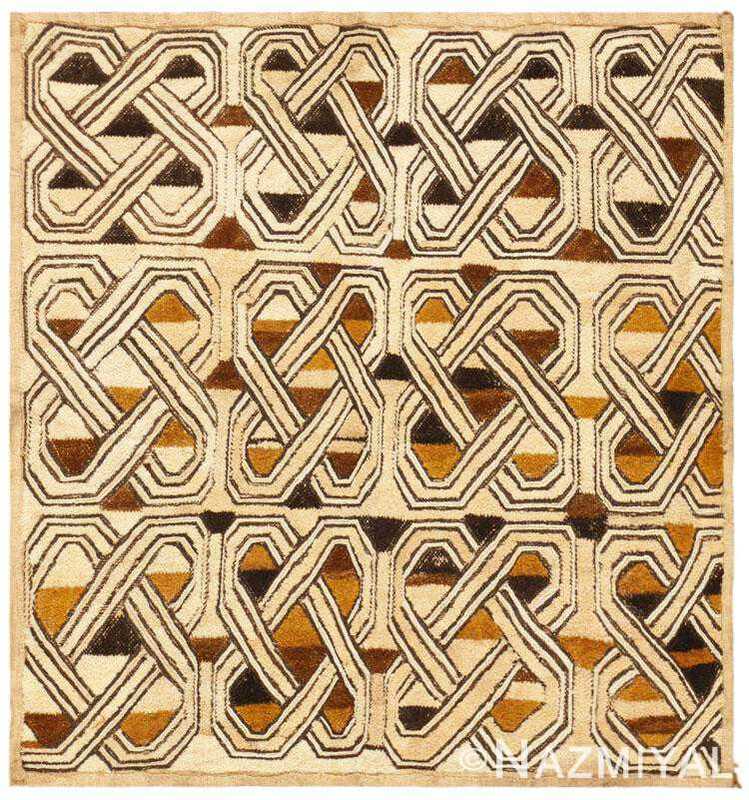 The lively patterns that decorate this exceptional piece incorporate an inventive combination of horizontal and vertical stripes. 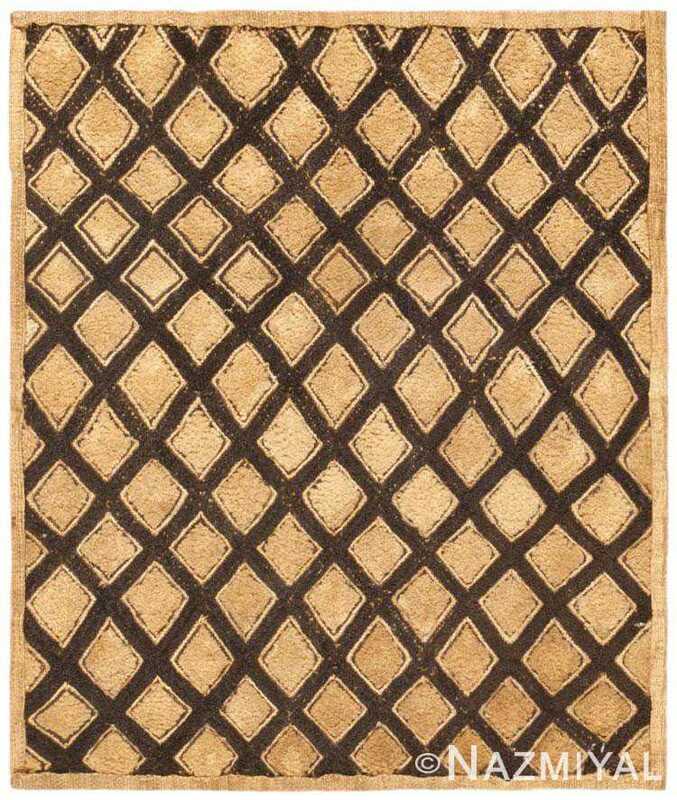 Alternating patterns that feature varying proportions and variable colors are placed at staggered intervals where they create a magnificent checkerboard pattern. The result is a gorgeous patchwork visage. However, the symbolism is much deeper. 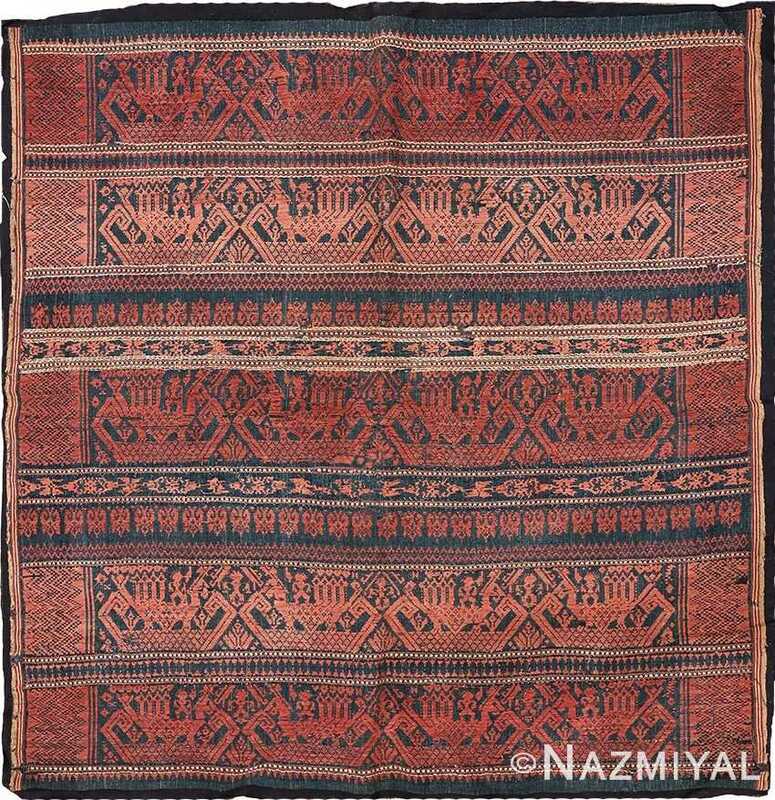 This unique magnificent African textile is a beautiful example of a culture that uses colors to create a language of symbols. 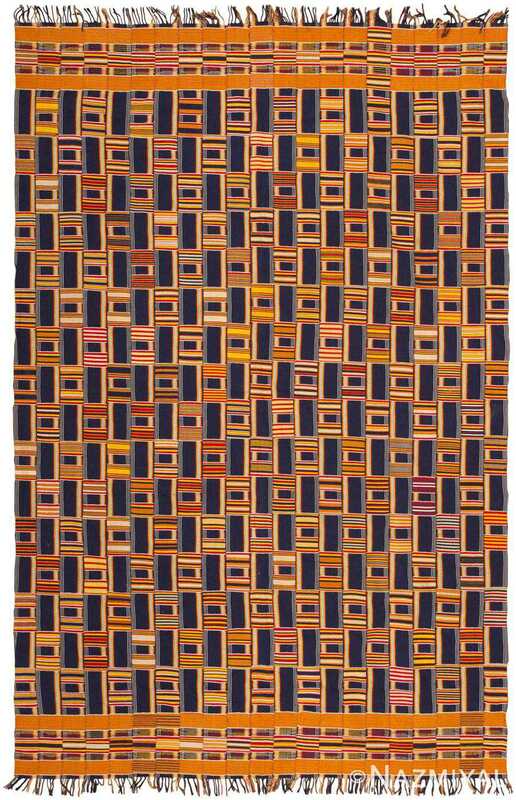 This exceptional African Kente textile showcases a formal symmetric composition that incorporates consistent hues of rich navy blue and bold saffron yellow, which represent harmony and abundance.